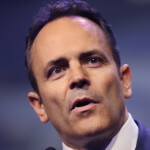 Kentucky Gov. 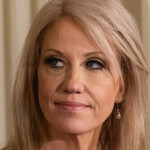 Matt Bevin (R) admitted during an interview with a local radio show that instead of getting his kids vaccinated for the chickenpox virus, he sent all nine of them to the home of a neighbor, whose kids already had the virus. 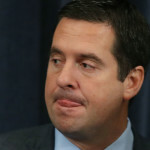 A cow Twitter account that showers followers with farm and manure jokes about Rep. Devin Nunes (R-CA) thrust conservatives’ belief that social media is out to get them back into the national conversation this week. 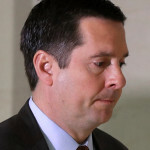 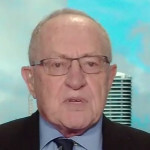 Trump cheerleader Alan Dershowitz is not siding with the President or Rep. Devin Nunes (R-CA), one of Trump’s staunchest allies, over the congressman’s lawsuit against Twitter and parody accounts that was filed Monday. 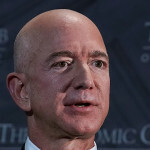 The brother of Lauren Sanchez, Amazon CEO Jeff Bezos’ girlfriend, admitted to Fox News on Tuesday that he made a “deal with the devil,” referring to the National Enquirer, but claims he was only trying to protect the couple, who were both still married at the time and having an affair. 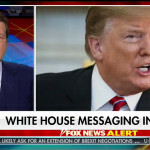 Insulting the late Sen. John McCain (R-AZ) appears to be a bridge too far for a few of the President’s most ardent supporters, including some at his favorite TV network. 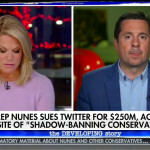 The Republican communications consultant who was sued — alongside two parody Twitter accounts — by Rep. Devin Nunes (D-CA) in his legal crusade against Twitter’s alleged bias against conservatives, said in a statement on Tuesday that she and Nunes don’t see eye-to-eye on the First Amendment.